Welcome to my friends from the Mehlville Organization for Mother's Support (MOMS) Club. I am so honored they asked me to come and speak to their group. Tonight I am speaking to this group of parents on how to engage children in read alouds. It's confession time over at the MOMS club tonight as I'm admitting to them that sometimes the children of reading specialists don't even listen during read alouds. Yep, that's right, sometimes my boys do more humming, shoving, and page turning than listening to stories. I'm sharing with them how I've taken those frustrating read aloud times and worked them into more engaging moments for sharing books. I'm hoping that I can offer some easy tips to these parents to help grow their children into strong readers. If you aren't a part of the MOMs club meeting tonight, you are welcome to hang out here at Ready. Set. 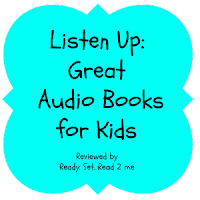 Read and "listen in" as I share some reading tips, helpful links, and rewarding read aloud books. Tonight at the MOMS Club, we are chatting about the question, "How can we better engage children in read aloud time so they can reap the benefits?" Brain research supports the idea that learning grows as children see what they are learning, hear it, participate actively, talk about it, and have an emotional attachment to their learning. Tonight we are discussing visual learning, auditory learning, and active participation. One quick and easy way to help children visualize their learning during read aloud time is to create Prop Baskets. 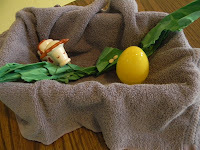 I've used these prop baskets in the past to introduce or review fairy tales with kids. You can find examples of fairy tale prop baskets by clicking the picture or link below. By the way, fairy tales are a great choice for read aloud time. Fairy tales help children to do many things. There is even a story that Einstein recommended fairy tales as a way to grow a child's intelligence! Not only do children need to engage their eyes during read aloud time, they need to use their ears to make reading more engaging. When children use their ears to learn, we call this auditory learning. My boys definitely have the ability to tune me out. There is an old trick that has been passed down from generation to generation for enaging your child's sense of hearing. I bet you've even used this old trick at least once. Have you ever been known to use your child's name to grab their attention? Probably your mom or dad called your full name once or twice when you were a child, too. Finally, we are tackling the topic of active participation during read aloud time. Specifically we are talking about helping children be active participants through speech. Choosing the right book for a child is imperative to engaging children in read alouds. 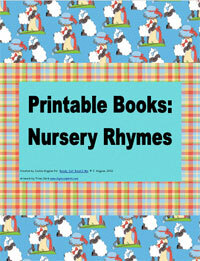 Finding books that are repetitive is important in helping children join in the reading. 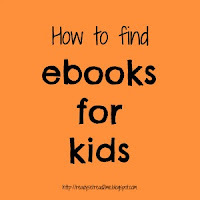 Locating a book that allows a child to be silly, scream, roar, or laugh along is not only fun, it actually increases the amount of learning they will retain. I did an experiement with the moms group tonight. I read aloud the book Alexander and the Terrible, Horrible, No Good Very Bad Day. I asked them to join on the repetitive phrase, "It was a terrible, horrible, no good, very bad day!" I hope they left the meeting with a little less stress after the end of potentially long day as parents! Sometimes it's good to let it out! 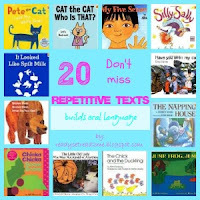 If you are looking for great repetitive texts, check out this post on 20 repetitive books that you don't want to miss! Thanks to the MOMS club for having me as a speaker. I hope you come back to visit Ready. Set. Read. 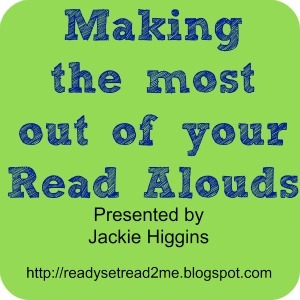 Thanks to the rest of my readers who were virtual participants through this blog post! Wonderful! Such true and honest information for parents. I pinned this to amy Primary Reading and Math board, and my A+ Information for Parents board. Thank you! So well put.